The top load case packer loads product through the top of an RSC, wraparound, or harness style case. 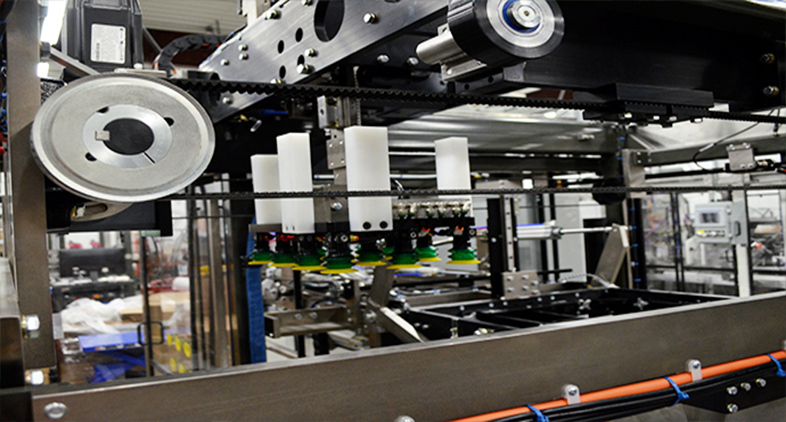 Massman Automation incorporates its proven vacuum gantry pick-and-place robotic technology in conjunction with lowerator or escapement product handling. Massman Automation top load case packers are designed with safety, durability, productivity and efficiency as the top design criteria. Top load case packing with multiple load stations offers a fast and effective means of case packing multiple layers of product. The top load case packer is designed to your specifications. These heavy-duty machines are built to be dependable under multi-shift conditions. With Massman Automation’s in-house technical expertise in the design and programming of this equipment, you can be assured of years of efficient productivity and low-cost ownership.